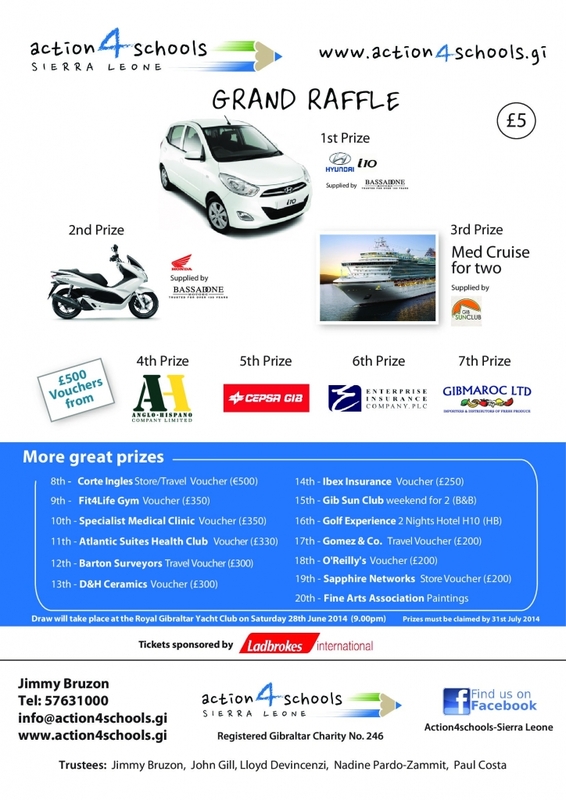 We held our grand car raffle draw at the Royal Gibraltar Yacht Club on Saturday 28th June 2014. The event included a 3 course buffet dinner and live music with “Take Two”. Wine, beer, soft drinks and coffee were included in the ticket price which was only £25. The ticket also included entry into a draw for three weekends away !! 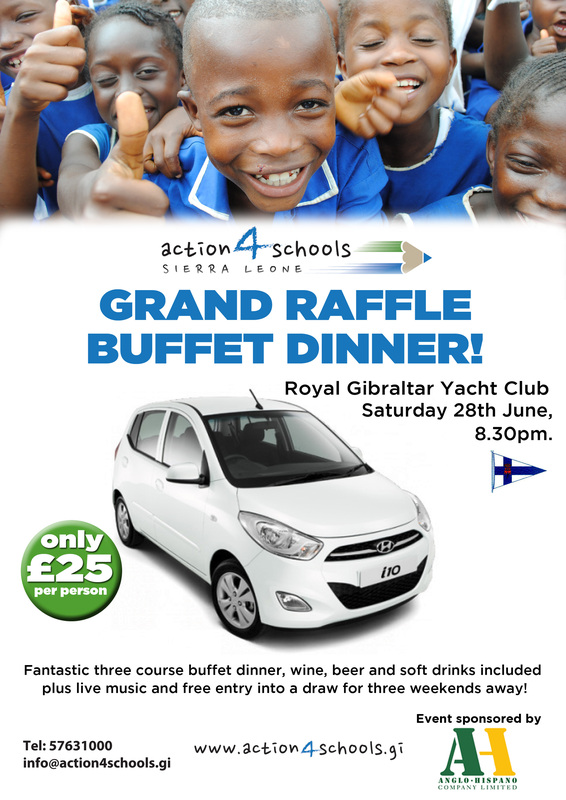 Thank you for supporting the event which was a sell out and special thanks to our main sponsors ANGLO HISPANO and to Royal Gibraltar Yacht Club !! Thank you for your amazing support, we raised £33,000, thank you for being part of it !